As 2014 comes to a close this short video and pictures look back on a few of the events that took place this year at NASA. In 2014, NASA took significant steps on the agency’s journey to Mars — testing cutting-edge technologies and making scientific discoveries while studying our changing Earth and the infinite universe as the agency made progress on the next generation of air travel. NASA achieved a major milestone in December on its journey to Mars as the agency’s Orion spacecraft completed its first voyage to space during a four-and-a-half-hour flight test. Orion is part of NASA’s plan to develop new technologies and capabilities to send astronauts farther than ever before, first to an asteroid, and onward to the Red Planet. Science, technology, engineering and math (STEM)-related education soared to new heights with a student-built radiation experiment aboard Orion. NASA’s Office of Education, partnered with the Lockheed Martin Corp., used the Exploration Design Challenge to engage students in STEM by inviting them to help tackle one of the most significant dangers of human space flight — radiation exposure. NASA’s parallel path for human spaceflight also took a giant leap forward in September when the agency announced U.S. astronauts once again would travel to and from the International Space Station (ISS) from the United States on American spacecraft under groundbreaking contracts worked by NASA’s Commercial Crew Program. 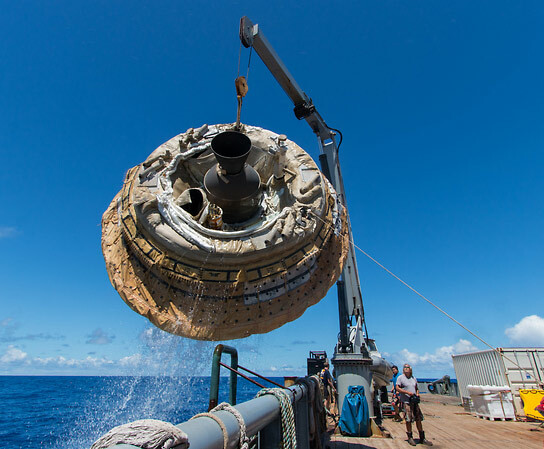 The agency selected Boeing and SpaceX to transport U.S. crews to and from the space station using their CST-100 and Crew Dragon spacecraft, respectively, with a goal of ending the nation’s sole reliance on Russia in 2017. NASA’s parallel path for human spaceflight involves U.S. commercial companies providing access to low-Earth orbit while NASA prepares deep space exploration missions with Orion and the Space Launch System (SLS) rocket. 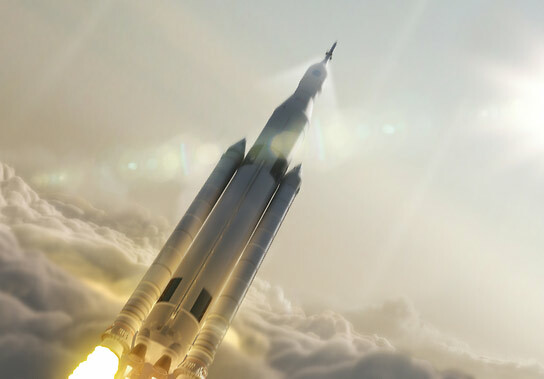 The SLS rocket, the most powerful ever built, moved from the concept phase to the development phase in 2014. Also this year, all major tools were installed at NASA’s Michoud Assembly Facility in New Orleans where the rocket will be constructed. For 40 years, increasingly advanced robotic explorers have studied the conditions on Mars. This has dramatically increased our scientific knowledge about the planet, as well as helped pave the way for astronauts on the journey to Mars. In July, NASA announced its Mars Rover 2020, which is based on the successful Curiosity rover. Mars 2020 will carry instruments to conduct unprecedented science and exploration technology investigations on the Red Planet, including help with data for a human mission to Mars. 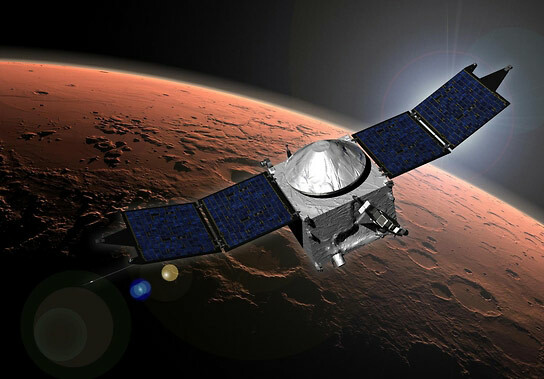 NASA’s newest member of its fleet of robotic Red Planet explorers, the Mars Atmosphere and Volatile Evolution (MAVEN), spacecraft successfully entered Mars’ orbit Sept. 21, where it is beginning its study of the planet’s upper atmosphere as never done before. That extensive fleet of science assets, particularly those orbiting and roving Mars, had front row seats to image and study a once-in-a-lifetime comet flyby of Mars in October. The agency’s Curiosity rover continued this year to help refine our understanding of Mars. In December, NASA announced Curiosity has measured a tenfold spike in methane, an organic chemical, in the atmosphere around it and detected other organic molecules in a rock-powder sample collected by the robotic laboratory’s drill. 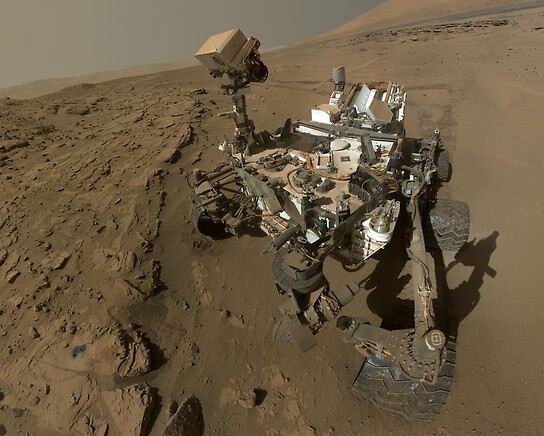 Curiosity’s findings from analyzing samples of atmosphere and rock powder do not reveal whether Mars has ever harbored living microbes, but the findings do shed light on a chemically active modern Mars and on favorable conditions for life on ancient Mars. Observations by Curiosity also indicate Mount Sharp near the rover’s landing site was built by sediments deposited in a large lake bed over tens of millions of years. NASA continues to advance the journey to Mars through progress on the Asteroid Redirect Mission (ARM), which will test a number of new capabilities needed for future human expeditions to deep space, including to Mars. This includes advanced Solar Electric Propulsion — an efficient way to move heavy cargo using solar power, which could help pre-position cargo for future human missions to the Red Planet. As part of ARM, a robotic spacecraft will rendezvous with a near-Earth asteroid and redirect an asteroid mass to a stable orbit around the moon. Astronauts will explore the asteroid mass in the 2020’s, helping test modern spaceflight capabilities like new spacesuits and sample return techniques. Astronauts at NASA’s Johnson Space Center in Houston have already begun to practice the capabilities needed for the mission. Agency officials are studying two robotic capture concepts for the robotic spacecraft that will rendezvous with the asteroid. One option would use an inflatable mechanism to capture an entire small asteroid. Another option would use robotic arms to retrieve a boulder from a much larger asteroid. NASA centers across the country are advancing and testing technologies for both concepts. Mission managers reviewed the two capture concepts in a December meeting and NASA expects to select a concept for the mission in early 2015. The agency has identified three asteroids that could be good candidates for each capture option so far and anticipates finding one or two per year for each option. Efforts to identify good candidates for the mission are also helping augment NASA’s existing work to survey near-Earth objects and identify those that could threaten Earth. In addition to the spaceflight capabilities ARM will advance, the mission will also represent a new opportunity for planetary defense demonstrations, to help mitigate asteroid risks in the future. NASA has identified almost 12,000 Near Earth Objects to-date, including 96 percent of near Earth asteroids larger than .6 miles (1 kilometer) in size. NASA has not detected any objects of this size that pose an impact hazard to Earth in the next 100 years. Teams at NASA centers spent 2014 testing various technologies, including solar electric propulsion, new spacesuits designs and sample collection tools, that will be used by astronauts on the journey to Mars and demonstrated on ARM. NASA’s Asteroid Grand Challenge is an effort to reach beyond traditional boundaries and encourage partnerships and collaboration with a variety of organizations to find all asteroid threats to human population and know what to do about them. The challenge had success in 2014 engaging the public through a variety of new partnerships, such as ECAST, SpaceGAMBIT and the Asteroid Data Hunter contest. NASA’s journey to Mars includes time aboard the International Space Station (ISS). The agency is using the space station to conduct cutting-edge research and technology development and to increase our knowledge about what it takes to live and work for long periods of time in space. 2014 marked 14 years of continuous human presence on the orbiting laboratory. Recognizing the long-term benefits of the space station, the Obama Administration in January announced it intends to extend operations on the ISS until at least 2024. A total of 12 crew members lived and worked aboard the ISS in 2014. 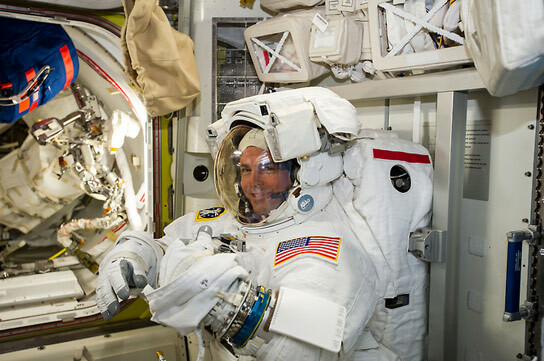 Two of those crew members, NASA’s Reid Wiseman and Barry Wilmore, carried out in October the first spacewalks to begin reconfiguring the ISS to accommodate future U.S. commercial crewed spacecraft. During his six months aboard the ISS, Wiseman gained a large following on social media, which he used to bring the wonders of human spaceflight directly to the public 140 characters at a time. ISS crews have seen eight different cargo spacecraft bring more than 50,000 pounds of supplies and science research to the station in 2014. Two of those flights were by SpaceX under contract with NASA. Orbital Sciences Corp., also under contract with NASA, had two supply missions to the space station this year, but in October, its third flight suffered a catastrophic failure during launch. Despite the incident, NASA remains confident U.S. companies will continue to lead the way to resupply the space station and soon send NASA astronauts there. Science research aboard the space station reached new heights in 2014. Crew members conducted hundreds of scientific investigations focused on human health and exploration, technology testing for enabling future exploration, research in basic life and physical sciences, and earth and space science. One such experiment, Veggie, is leading the way to allow crews to grow, harvest and eat some of their own food. The station’s EXPRESS Rack 1 — a multipurpose rack system that has housed and supported research aboard station since 2001 — exceeded 100,000 hours of operation in October. The week of July 20th, the space station program set a record on how many crew hours used for science in a week – just five minutes shy of 84 hours. The space station also shined this year as a technology test-bed. 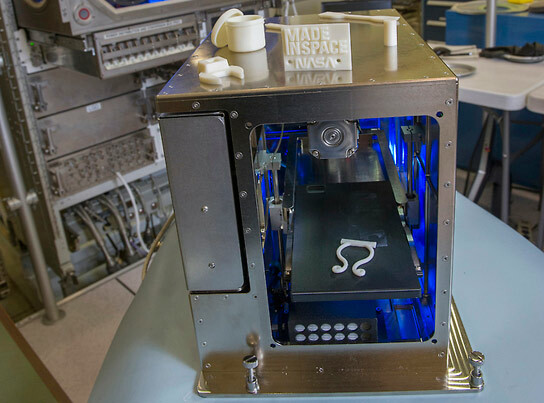 This included continuing work with the bowling ball-sized satellites that operate inside the ISS known as SPHERES, Robonaut 2 getting its experimental legs attached in August and the first 3-D printing ever in space in November. Technology drives exploration, and it is a significant part of NASA’s endeavors, including the journey to Mars. In June, the agency used a rocket-powered, saucer-shaped vehicle called the Low Density Supersonic Decelerator to test technologies needed for landing large payloads on the surface of Mars. The agency continued its successful small spacecraft technology demonstrations in 2014 with the in-space test of Phonesat 2.5. The small smartphone-controlled spacecraft hitched a ride into orbit on SpaceX’s cargo launch to the International Space Station in April. Progress was made this year for the 2016 launch of NASA’s Green Propellant Infusion Mission. The small satellite is designed to test a high-performance, non-toxic, “green” fuel in orbit as a potential replacement for highly toxic hydrazine and complex bi-propellant systems currently in use. 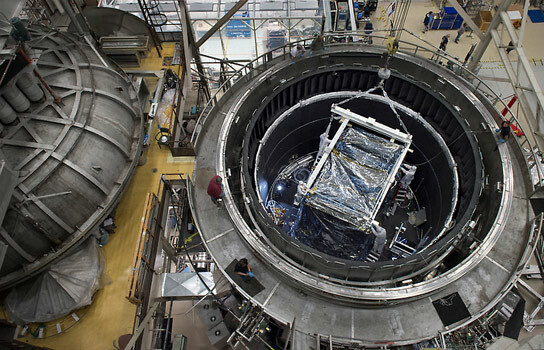 This past summer, NASA completed a complex series of tests on one of the largest composite cryogenic fuel tanks ever manufactured, bringing the aerospace industry much closer to designing, building, and flying lightweight, composite tanks on rockets. When NASA develops software for its aeronautics and space missions, the agency knows the code may have uses beyond the original mission. In April, NASA published a new online software catalog with more than 1,000 codes available to the public. The agency also created a one-stop online shop for all the current opportunities available to the public to contribute to solving tough problems related to NASA’s mission through challenges, prize competitions, and crowdsourcing activities. One such opportunity, the Cube Quest Challenge, was announced in November and is NASA’s first in-space competition that offers the agency’s largest-ever prize purse. Competitors have a chance at a share of $5 million in prize money and an opportunity to participate in space exploration and technology development, to include a chance at flying their very own small satellite, known as a CubeSat, to the moon and beyond as secondary payload on the first integrated flight of NASA’s Orion spacecraft and Space Launch System rocket. Our planet is changing, and NASA is on it. Administrator Bolden declared 2014 the year of Earth because for the first time in more than a decade, five NASA Earth Science missions were scheduled to be launched into space within a one year period. Together with NASA’s existing fleet of satellites, airborne missions, and researchers, these new missions will help answer some of the critical challenges facing our planet today and in the future: climate change, sea level rise, freshwater resources, and extreme weather events. 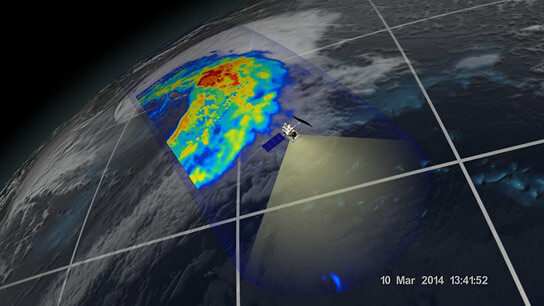 Launched on February 27, Global Precipitation Measurement mission is setting a new standard for precipitation measurements from space. The Orbiting Carbon Observatory-2 satellite launched July 2 is NASA’s first spacecraft dedicated to studying atmospheric carbon dioxide. NASA’s International Space Station-Rapid Scatterometer (ISS-RapidScat) was launched to the space station Sept. 21 on a SpaceX resupply flight. ISS-RapidScat monitors ocean winds and is the first NASA instrument to use the ISS for full-fledged Earth science research. The Cloud-Aerosol Transport System (CATS) instrument also is heading to the space station. It is set to launch on a SpaceX cargo flight targeted for Jan. 6, 2015. Once installed on the outside of the station, CATS will study the distribution of aerosols — the tiny particles that make up haze, dust, air pollutants, and smoke – in Earth’s atmosphere. The last of these five new Earth science missions is the Soil Moisture Active Passive (SMAP), which is targeted to launch Jan. 29, 2015. SMAP will map Earth’s soil moisture and provide precise indications of the soil’s freeze-thaw state to improve understanding of the cycling of water, energy, and carbon. It also will air aid in predictions of agricultural productivity, weather and climate. NASA research in 2014 showed new changes our planet is undergoing. 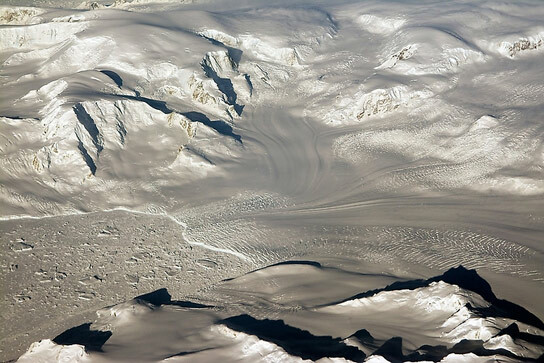 A new study published in May by researchers at NASA and the University of California, Irvine, found a rapidly melting section of the West Antarctic Ice Sheet appears to be in an irreversible state of decline, with nothing to stop the glaciers in this area from melting into the sea. Another study announced in July by NASA and the University of California, Irvine, found more than 75 percent of the water loss in the drought-stricken Colorado River Basin since late 2004 came from underground resources. The extent of groundwater loss may pose a greater threat to the water supply of the western United States than previously thought. NASA research published in August shows Earth’s atmosphere contains an unexpectedly large amount of an ozone-depleting compound from an unknown source decades after the compound was banned worldwide. In 2014, NASA showed it is with you when you fly, and continued to make progress in developing the next generation of air transportation systems (NextGen). 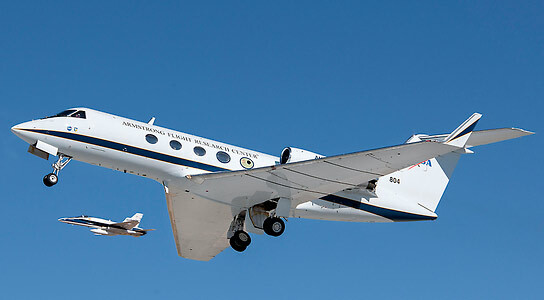 In May, NASA — along with international partners the German Aerospace Center and National Research Council of Canada — took to the skies over California to begin a series of flight tests to gather critical data that may aid in the development of cleaner aircraft fuels. NASA also put futuristic new aircraft designs to the test in 2014. The Adaptive Compliant Trailing Edge project had a successful flight this summer testing a wing surface that can change shape in the air. 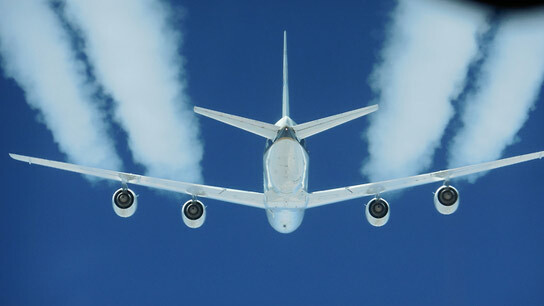 The testing could lead to technology to make airliners more fuel-efficient, and quieter during takeoffs and landings. In December, a test center section of a futuristic airplane design, called a hybrid wing body, was delivered to NASA’s Langley Research Center in Hampton, Virginia. 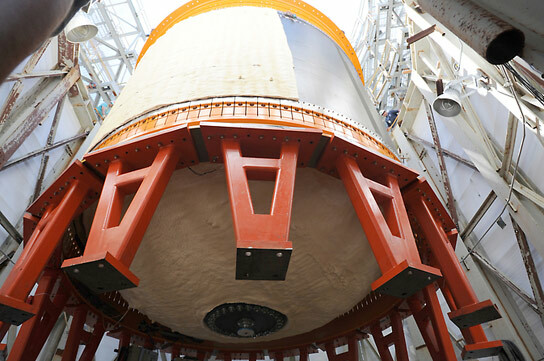 Much of the test article is made out of a low-weight, damage-tolerant, stitched composite structural concept called Pultruded Rod Stitched Efficient Unitized Structure (PRSEUS). An effective hybrid wing body could simultaneous reduce fuel consumption, noise levels and the emissions produced by tomorrow’s transport planes. NASA’s aeronautics research also is being tested as a new tool for early wildfire detection. In October, the agency announced Langley had signed a one-year agreement with the Department of the Interior’s U.S. Fish and Wildlife Service to test small unmanned aerial systems (UASs) for the detection of brush and forest fires. In May, a dedication ceremony was held to mark the renaming of NASA’s Armstrong Flight Research Center, formerly the Dryden Flight Research Center, in Edwards, California. Legislation to redesignate the 68-year-old facility, NASA’s center of excellence for atmospheric flight research, in honor of the late Neil A. Armstrong was passed by the U.S. House of Representatives in early 2013 and by the Senate on Jan. 8, 2014. President Obama signed it into law on Jan. 16. The name change became official March 1. Looking out into space on our journey of discovery, a number of new findings were announced in 2014. In November, NASA announced a rocket experiment found that the universe is brighter than scientists originally thought. NASA’s Kepler mission announced in February the discovery of 715 new planets outside our solar system. These newly-verified worlds, known as exoplanets, orbit 305 stars, revealing multiple-planet systems much like our own solar system. 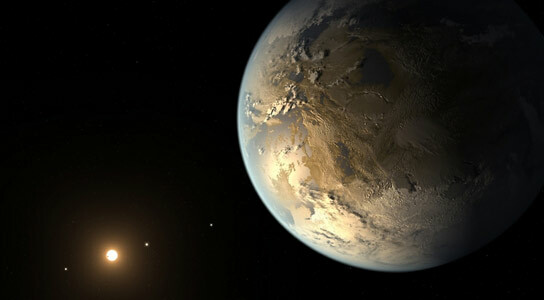 Two months later, astronomers using Kepler announced they had discovered the first Earth-size planet orbiting a star in the “habitable zone” — the range of distance from a star where liquid water might pool on the surface of an orbiting planet. One of the biggest mysteries in astronomy, how stars blow up in supernova explosions, finally started to be unraveled in February with the help of NASA’s Nuclear Spectroscopic Telescope Array (NuSTAR). The high-energy X-ray observatory has created the first map of radioactive material in a supernova remnant. The results, from a remnant named Cassiopeia A (Cas A), reveal how shock waves likely rip massive dying stars apart. NASA’s Van Allen Probes mission, which is studying the mysteries of Earth’s radiation belts, celebrated its two-year anniversary on Aug. 30. The twin probes, shortly after launch in 2012, discovered a third radiation belt around Earth when only two had previously been detected. In October, NASA announced its Interface Region Imaging Spectrograph (IRIS) spacecraft provided scientists with five new findings into how the sun’s atmosphere, or corona, is heated far hotter than its surface, what causes the sun’s constant outflow of particles called the solar wind, and what mechanisms accelerate particles that power solar flares. Scientists using NASA’s Interstellar Boundary Explorer (IBEX) announced in February that data from the spacecraft has shown a magnetic field that is nearly perpendicular to the motion of our solar system through the galaxy. In addition to shedding light on our cosmic neighborhood, the results offer an explanation for a decades-old mystery on why we measure more incoming high-energy cosmic rays on one side of the sun than on the other. On Dec. 6, after a voyage of nearly nine years and three billion miles — the farthest any space mission has ever traveled to reach its primary target — NASA’s New Horizons spacecraft came out of hibernation for its long-awaited 2015 encounter with the Pluto system. The construction and testing of NASA’s James Webb Space Telescope was fully underway in 2014. In October, the Integrated Science Instrument Module, or the “heart” that holds the telescope’s instruments, successfully completed a nearly four-month test in a cryogenic thermal vacuum chamber. The test simulated the icy, -387 degrees Fahrenheit conditions the telescope will operate under in space. Webb is considered to be the scientific successor to NASA’s Hubble Space Telescope and is on track for a 2018 launch. 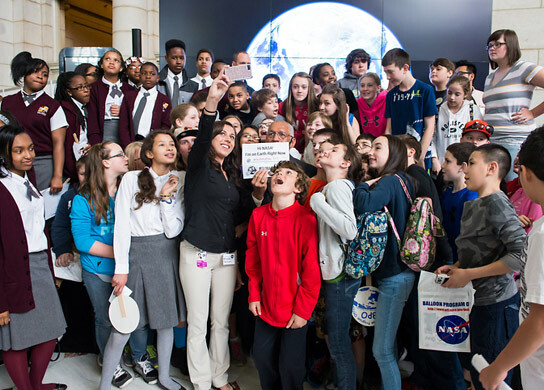 NASA’s Office of Education continued to leverage opportunities in 2014 with other federal agencies, industry partners and academia to provide unique and compelling agency content as a catalyst for increasing STEM literacy throughout the United States. This year, NASA and Honeywell celebrated a decade of successful STEM collaboration with a west coast city tour of the award-winning science education program FMA LIVE! Forces in Motion. The tour marked an important milestone in the 10-year collaboration: reaching 1,000 schools and more than 400,000 students and teachers. NASA‘s award winning presence on social media remained strong in 2014. The agency’s Twitter, Facebook, Google+, and Instagram accounts are the most followed in the federal government on those platforms. This year, NASA also launched an official presence on LinkedIn, Vine and SoundCloud. Further, the agency ranked high in the J.D. Power 2014 Social Media Benchmark Study for Government in two measured focus areas — servicing and marketing engagement. The agency hosted 22 NASA Socials, bringing hundreds of people who engage with NASA via social media together for unique in-person experiences of exploration and discovery. Since 2009, NASA has hosted more than 100 NASA Socials at more than a dozen locations. 2015 promises to be an exciting year for NASA as it carries out the nation’s ambitious space program. The work NASA does will help United States maintain its world leadership in exploration and scientific discovery. The agency will continue investing in our ‘Launch America’ initiative to return human spaceflight launches to the U.S.; foster groundbreaking technology development and aeronautics; and move forward with the Space Launch System and Orion on our journey to Mars. Be the first to comment on "2014 – A look Back on a Significant Year for NASA"